Setavan Stretch Mark Cream claims to be able to fade existing stretch marks over a period of 2 - 4 weeks. You won't find much info on their official site, but a few more details can be found on their Amazon listing. According to the description, this daily moisturizer has cocoa, mango & shea butter + rose, jojoba, orange & olive oil with vitamins & minerals to prevent the appearance of stretch marks. Of course, those ingredients are pretty common. I didn't see anything that takes it beyond your standard drugstore cream, frankly. At 3-4x the cost of hitting the Walmart moisturizer aisle, you'll have to ask yourself what is there to get excited about. The cream comes in a 120ml (~ 4oz) jar. I'm always extra-intrigued when a company guarantees stretch mark removal with a money-back promise. You've heard me say this a lot - it is very hard to remove stretch marks after they occur. Setavan, honestly, doesn't appear to measure up. Even though there's a list of ingredients, nothing looks particularly special. Even worse, the official website has almost no detail to help you understand what might set their cream apart. Coupled with pretty bad Amazon customer reviews below, I'm forced to rate this one pretty low. I'm weighing in at 2.6 stars out of 5, which is just about the Amazon average too. If you are struggling with existing stretch marks, check out my reviews of TriLASTIN-SR and Skinception Intensive Stretch Mark Therapy. I pay a great deal of attention to Amazon reviews - but only the ones written by verified purchasers. Review "padding" on Amazon can be a REAL problem, and it's usually evident if a lot of the non-verified reviews are 5 stars and gushing about how great the product is. As I sit down to write this Setavan stretch Mark Cream review, there are reviews by 44 verified purchasers. Only 34% of those rate the Setavan cream at 5 stars - a huge red flag for me (most great skincare product are rated twice that high). I'll list a couple of the Amazon reviews below, but they definitely do not match up with the loaded 5 star reviews on the official site. 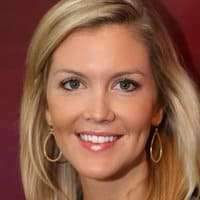 So... buyer beware. Used this product for my stretch marks on my legs that r not even severe and it did not work. The only thing good is the texture and the scent. Reached out to the company for a refund and nobody ever contacted me back. I have been using this for the past month and im sad to say i haven't seen much. The color of my stretch marks has gotten the slightest bit lighter, but other than that, no other results. The texture is nice, however it has an unappealing scent i just cant get over. Hopefully it works for you, but didn't for me. As I mentioned above, the official site of this cream's maker, Senvie, has nothing but 5 stars vs. the average of 2.7 stars at Amazon. It certainly looks like negative reviews are not welcome there. The company does shine here. Their guarantee is 100% satisfaction or 100% money-back. There's no mention of a return deadline either, so it does seem to be a blanket guarantee/return policy. 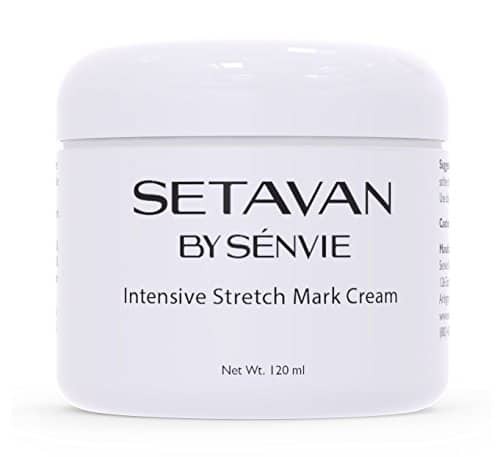 Setavan Stretch Mark Cream retails for $35 on the official site but is sometimes on sale there. The company offers free shipping. The price on Amazon is around $20 so you can save a few bucks and get free Prime shipping there, if you're interested in giving this one a shot. LIGHTENED AND FADED MARKS NEVER LOOKED SO GOOD - Our amazing natural stretch marks cream works deep down to fade and lighten the appearance of stretch marks to give you clear and smooth skin. Feel great and confident the next time you look in the mirror. 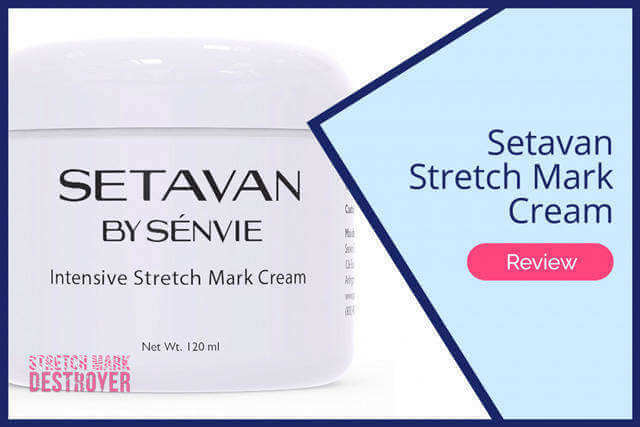 YOUR PARTNER WON'T BELIEVE YOUR SMOOTHER, CLEARER LOOK - Setavan's powerful stretch mark cream works on the belly, back, chest, legs, shoulders and arms. Pregnancy stretch marks have finally met their match. This amazing daily moisturizer has Cocoa, Mango & Shea Butter + Rose, Jojoba, Orange & Olive Oil w/ Vitamins & Minerals to prevent the appearance of stretch marks. EVERY BOTTLE SOLD HELPS A CHILD IN NEED - We don't just sell an amazing stretch mark removal cream, we want to make the world a better place too. A portion of the proceeds of every sale goes to the Save The Children Foundation. It's our way of doing what we can to give back and make the world better a place. IT'S SAFE AND EASY TO USE - Setavan Stretch Mark Cream is made in the USA in a FDA registered facility to ensure safety and potency. Simply apply twice a day to fade and lighten your stretch marks and scars to restore your confidence. Massage thoroughly into affected areas as part of both your morning and evening routines. Begin using as soon as you see that stretch marks are beginning to form. Is it Setavan cream safe to use while pregnant? Definitely, but remember this cream is designed to get rid of stretch marks! Is it safe to use while nursing? Yes. Will this be okay with my sensitive skin? Organic creams are generally fine, but stop using the cream immediately if you experience redness or rash and return it. For stretch mark removal, my two highest review scores have gone to TriLASTIN-SR and Skinception. Both have a track record of success and strong guarantees to boot. Mother of two, wife of one. From a big family of Midwestern farmers and I love the outdoors! We love taking the kids to campgrounds (small RV) and watching all the cute things they say and do as they grow up. Enjoy them while you can! 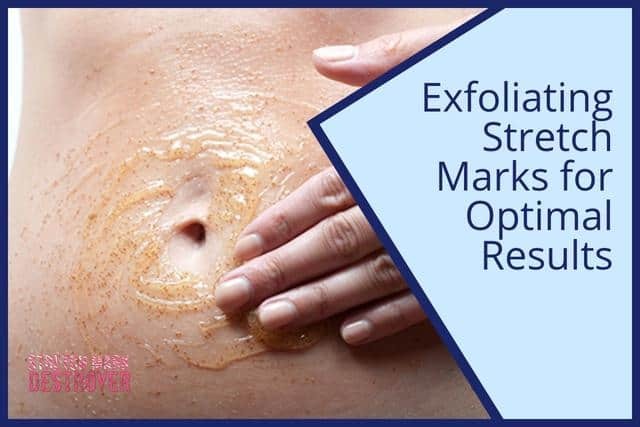 Exfoliating Stretch Marks for Optimal Results | Can it Help?